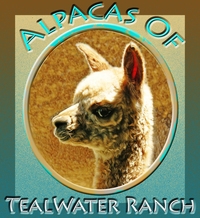 Chilean - Per AOA: Antonio, often referred to "Taft’s Antonio" here on the ranch, is an amazing true black herd sire that has made his mark on our breeding program as well as our clients breeding programs. Producing a number of incredible offspring currently standing stud in our breeding program, Antonio has what it takes to add quality to any herd. 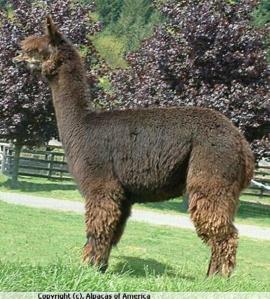 His color of jet black is similar to his sire Taft and his fleece fineness was inherited from his dam Guija NT732 TBS. 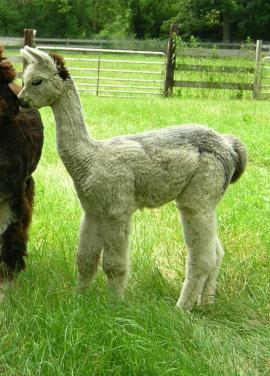 Antonio’s fleece has a very distinctive crimp style and great density that is not often seen in alpacas of his color. We have been extremely pleased with the quality of crias he has produced for us over the years, mostly dark colored offspring, several of whom have been featured in our annual production auction. He is exactly what we look for when selecting males for our breeding program in terms of fleece quality, presence, and overall conformation. Let his incredible bloodlines beef up your breeding program today! Do you like attention grabbing patterns? Marie was one of our foundation females Marie is calm, an easy keeper and a great mother that has produced such interesting colors and patterns...a stunning cape pattern light silver gray and white male, then a true black sired by a rose grey, then a dark rose gray with steel gray markings down his legs. 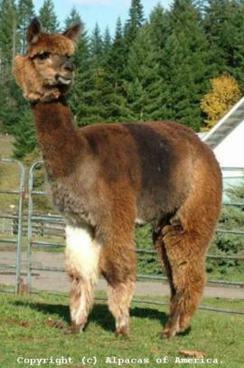 She is a fine fleeced, multi-color with shades of brown and gray. 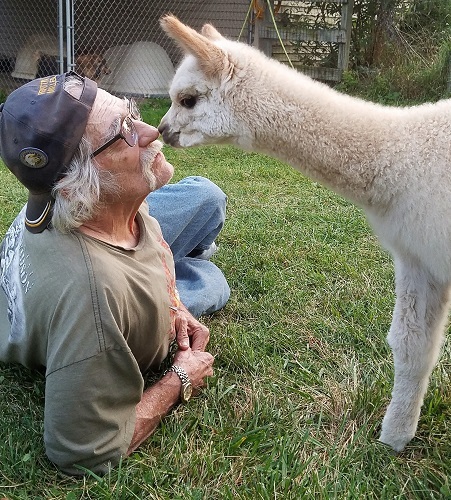 She was purchased as part of our starter herd from Alpacas of America bought as a bred maiden for $20,000. Marie was bred to our own Fortune's Shadow and in 2010 gave us Domino, a true black with tons of fine crimpy fleece and white front legs. She produced offspring with dense and fine fiber in gray, black, white and fawn color combinations.